Nortel offers a significant range in private branch exchange phone systems including the Meridian line that is designed to support leading voice features, LAN communications, compute telephone integration, data connectivity and information services in support of communications applications. The Nortel Meridian phone platform can handle applications that support anywhere from 60 to 80,000 lines. At its height, the Nortel Meridian phone system counted more than 43 million installed users, which made it the most widely used PBX on the market at the time. It could maintain its deployment and availability status by operating as either a non-VoIP PBX or — with an upgrade — as a hybrid PBX with added VoIP functionality. Worldwide Supply offers both refurbished Nortel Meridian phone systems as well as the individual devices themselves. A considerable number of Nortel and third-party phones work with each Meridian platform, but there are some units made specifically for the Meridian. The M2616 was an early model with a small digital display and could support 22 different key configurations with small-office support that allowed it to function as a phone, fax, modem or routing device simultaneously. Other units like the M2006 and M2008 were less feature-rich but continue to support all the core functionality that’s needed in today’s office. Building on these units allowed refurbished Nortel Meridian phone platforms to upgrade and work with today’s handsets that require data and voice, with extended functionalities. 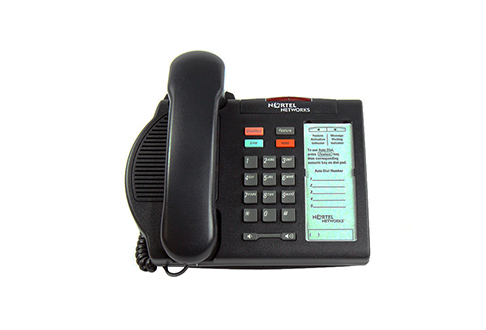 Today, the Nortel Meridian 1 can be easily upgraded for the latest handsets as well as two different VoIP forms with trunking options to manage PBX-to-PBX connections or line functionality with the addition of supported line cards. It’s a simple and effective way to grow your network and transition to VoIP or other functionality in limited service areas, while relying on Worldwide Supply to provide a leading price for your next used Nortel Meridian needs.